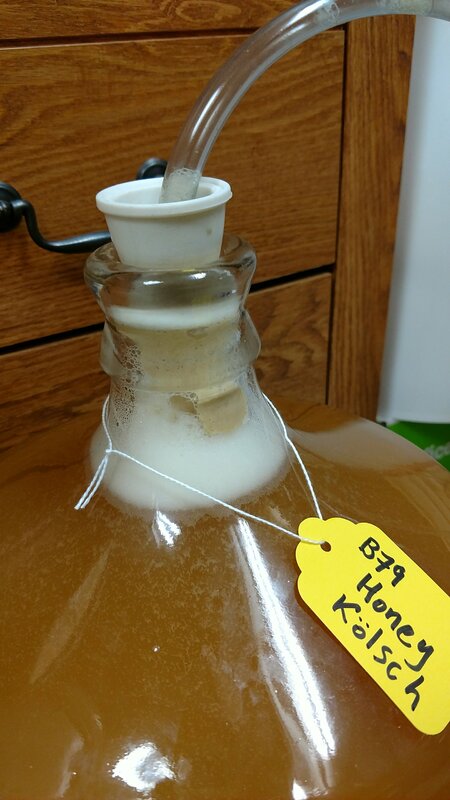 So, I racked my Honey Kölsch today, to secondary carboy, intending to bring it downstairs where it is cooler, especially on the ceramic tile. This is my hope of doing something, anything, like lagering. Unfortunately, two hours later I can already see that there is still too much activity blowing solids into the air-valve. So back to hose-in-jug-of-water, a thing usually reserved for an earlier stage. Actually, I had to do the same thing on this batch in the earliest days of primary, come to think of it. In any case, all seems okay. Just surprised me.